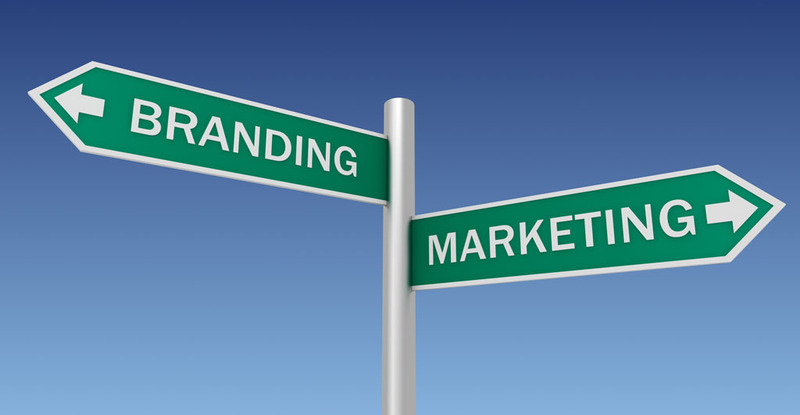 Sometimes our clients ask us, “What is the difference between branding and marketing?” The question arises because most people and organizations use these terms interchangeably. Unlike Medicine, Law or Finance, practitioners in the field of brand and marketing don’t share a common professional language. When one doctor says a patient is suffering from nephritis, another doctor will understand that the patient has inflammation of the kidneys. When one lawyer says he has an affidavit, another lawyer will know he has a written statement made under oath. Ask 20 marketers what branding is, and you may get 20 different answers. To some it may mean creating a logo, to others it may mean developing an advertising or public relations campaign, to others it may mean initiating social media conversations. Because the term “branding” is used to mean so many different things, it doesn’t have a specifically agreed upon meaning. For some clients, especially higher education, we sometimes have to avoid the word altogether, because it not only misunderstood, it is looked down upon as “beneath” academics. A Brand – is the promise you make to your audiences. Strong brands are valuable assets, because when the promise is fulfilled, it creates an emotional response. Strong brands can create a preference or command a premium and assure a future stream of revenue. The name and visual expression of that promise is called a brand identity, because it gives you a way to identify with the promise being made. Branding – is about positioning the brand to fill a need, meet expectations, build trust and develop relationships. It’s about keeping your promise differentiated, relevant, compelling and true. Brand Strategy – is about determining how many brands you need and can afford to support, what each brand should stand for, and what relationships should or should not exist between the brands and the parent organization. Marketing – is about finding and growing a market for the brand that leads to profitable sales, or in the case of non-profits, that leads to appreciation and support among key audiences. Marketing Strategy – is guided by business goals, and involves segmenting markets, selecting target audiences, determining pricing, packaging and distribution, integrating media, and executing creative campaigns. Consider a stand out brand like Nike. The Nike brand promise is to bring inspiration and innovation to every athlete in the world. “If you have a body, you’re an athlete” says Nike. This brand promise demands a diverse, creative attitude-laden execution across the many customer touchpoints. That is branding. Nike’s innovative use of celebrity athletes and digital, social, mobile and retail channels to engage with existing and aspirational athletes, is marketing. Nike’s marketing strategy is highly influenced by the brand promise and expression – and the resulting ads, promotions, communications and offers feel like they could come from no other sports brand. Bottom Line: We define branding as making, communicating and delivering a promise. Branding is a long-term commitment. We define marketing as finding and connecting with the audiences who will most benefit from that promise. By its nature, marketing tends to planned out with shorter term goals. Marketing strategies and campaigns will come and go, but brands should endure. While definitions of branding and marketing may differ, it is important that people use agreed upon definitions of terms, to ensure that you meet both short and long-term objectives for your business.